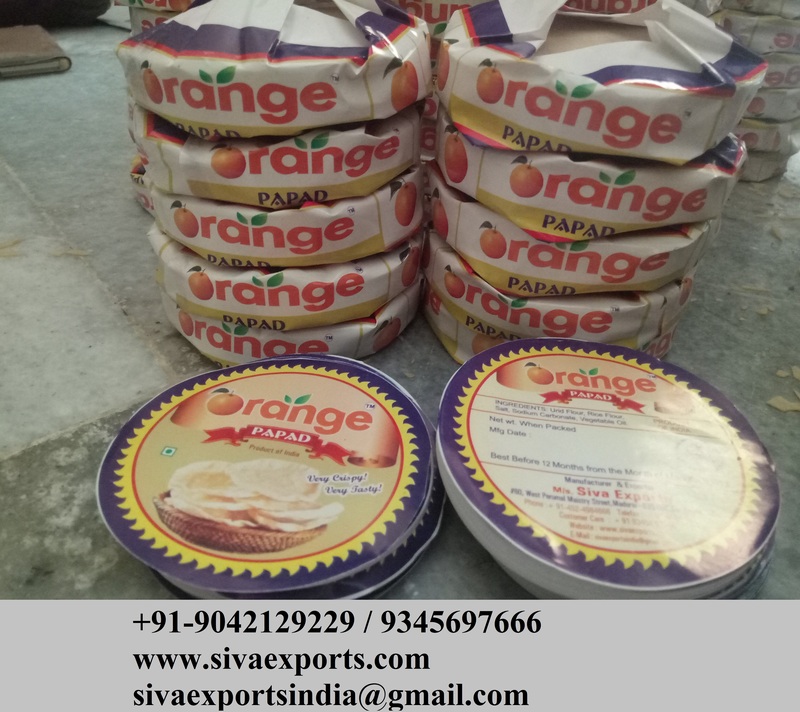 Siva Exports is one of the best Appalam-Papad-Pappadam-Poppadom Manufacturers-Exporters-Suppliers in India, Tamilnadu, Madurai. We are manufacturing a international standard, Export Quality Appalam- Papad in different sizes and ingredients. In 2002, we expanded our business in spices and now we are one of the leading Spices suppliers in India. We are dealing in both Whole Spices and Ground Spices. We are supplying all kind of spices to various countries at best quality & most competitive price. Siva Exports is one of the leading rice exporters in India. We are exporting all kind of basmati rice & non-basmati rice to many countries in the world with best price and excellent quality. All kind of rices are available for bulk and container basis orders. Siva Exports is one of the best pappadam manufacturers in India. We are producing all kind of pappadam in different sizes and different ingredients. Especially Pappadam is available in different sizes from 2″ to 5″. Moreover We are also dealing in spices, rice and all other food products. We are one of the leading manufacturers & exporters of Pappadam. We are one of the best-known trader and supplier of above mentioned Product. Our wide range of products is used for cooking purposes. Having our own production units which are farm fresh and naturally wholesome. We package our products in secure packaging which ensures that our fresh products retain their freshness till they reach out consumers. Our worldwide network enables us to deliver our products in the shortest time so as to avail our clients of the highest quality fresh products. We offer tasty and crunchy product made from the finest urad dal and quality natural raw materials. We manufacture papad under most hygiene condition and offer in the best state of quality. Also We have the capabilities to supply with quantity as desired by our client. we supply good quality of pappad at best prices . our company has making papad in 25 years . And also we deal with agro and food products. Generally A Papad is a thin, crisp, disc-shaped food from the Indian subcontinent. Also We are supplying all over the world. We are one of the best papad manufacturers in the world. Also We are one of the best papad exporters in the world.